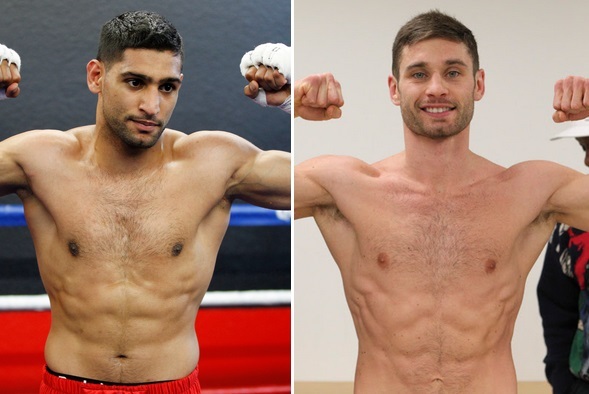 Amir Khan will be returning to the ring against Chris Algieri on Friday, 29th May part of Spike.TV boxing Championship. Amir Khan has been pushing for Floyd Mayweather fight for best part of last 2 years but even though his name has been there and there about on Mayweather’s potential opponents he missed out on couple of occasions already since early 2014. Apart from Mayweather Fight Khan also had a great chance of making good money in all British affair against Kell Brook who is now a world champion, Brook’s promoter Eddie Hearn offered Amir Khan a guaranteed £5 million for a fight against Brook in UK which Khan turned down and instead went with a very underwhelming fight against Chris Algieri where he will be making around $1.5 million. On a business point Kell Brook fight made alot of sense for Khan as far as short term goals are concerned, as he will get a good purse and a win against Brook would hold greater significance in his pursuit for Mayweather fight, but at the same time a big risk as a defeat will surely end his chances of fighting Mayweather or Pacquiao. So team Khan went with a less risky option against Algerie where a win might get him a shot at Mayweather and Brook fight would still be available in the near future. As far as Chris Algieri is concerned this fight give him a chance to get back into the reckoning after devastating defeat against Manny Paquiao last november. Pacquiao fight earned Algieri his career best purse of around $1.5 million which was 10 times more than he was making previously per fight ($200,000). His purse against Amir Khan is guaranteed $500,000 while Khan will take home $1.5 million from his nights work next friday.